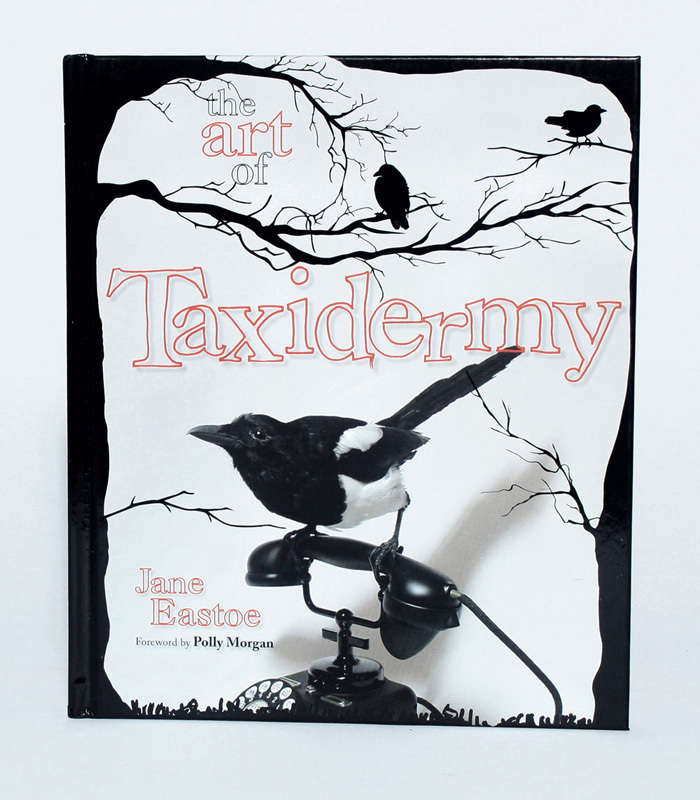 The Art of Taxidermy, written by Jane Eastoe with a foreword by Polly Morgan, is on sale now. 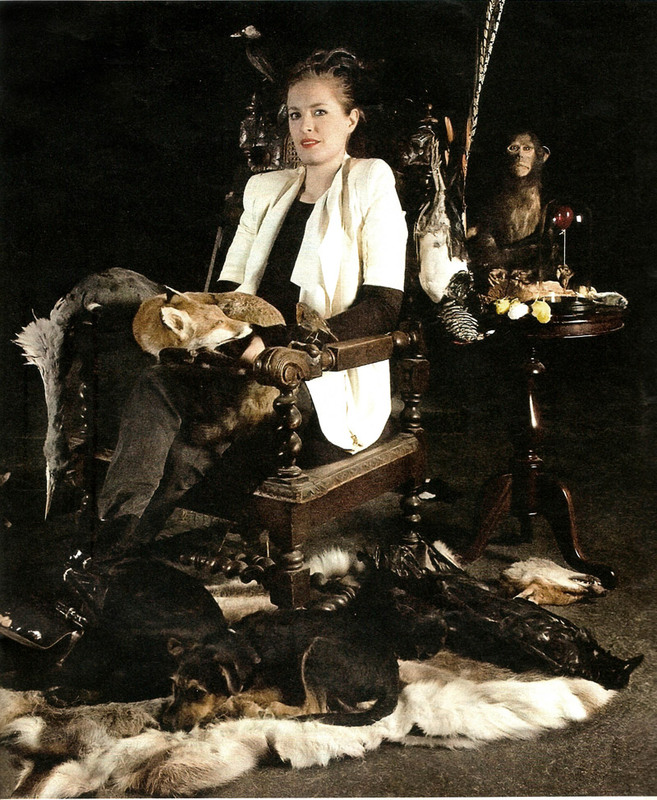 Polly Morgan interviewed by Lynn Barber of the Sunday Times. Endless Plains, at All Visual Arts. runs from 8th June until 30th September 2012. 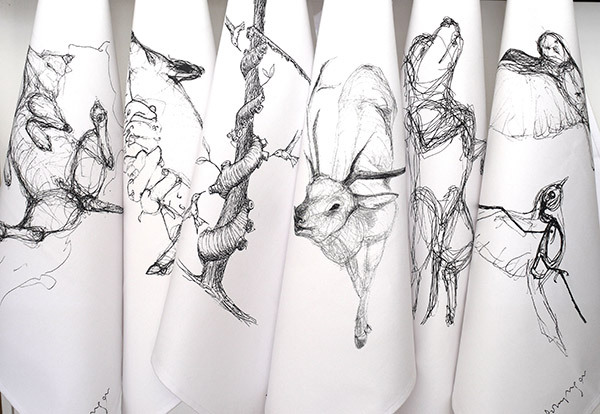 Polly Morgan has collaborated with Constant and True to design a series of limited edition napkins and t-shirts. 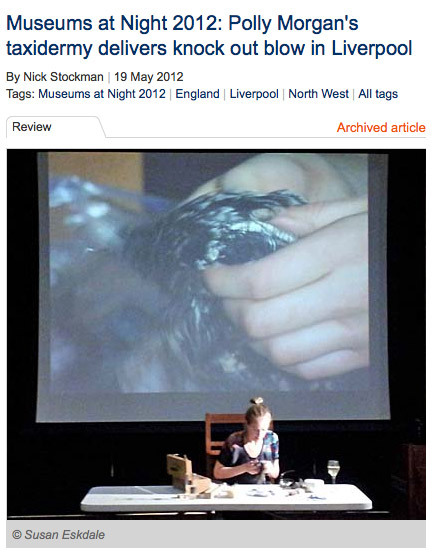 As part of the Museums at Night events, Polly Morgan will discuss her inspirations and works, as well as performing a live taxidermy demonstration at the Victoria Gallery and Museum in Liverpool. 10,000 Hours; on craftsmanship, mastery and failure in art at the Kunstmuseum Thurgau, Switzerland runs from 13th May 2012 until 30th September 2012. Polly Morgan is one of 30 creatives who have designed eggs to be auctioned at the Fabergé Big Egg Banquet to raise money for Action for Children and Elephant Family. Her design has raised £16,000. 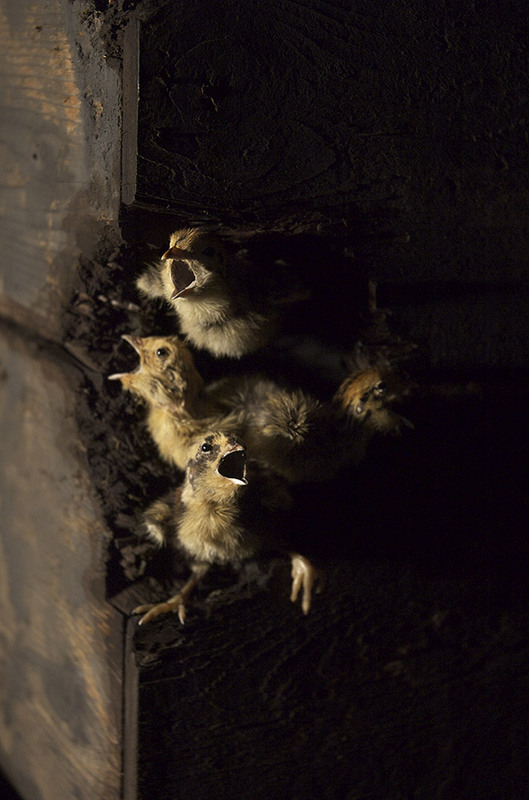 Polly Morgan on taxidermy; a short film by Bernard Walton.